Emma Perfect, CEO at LUX Assure says, “Biocide treatments need to be reviewed and adjusted to ensure the dose is based on actual performance, however in the past it has been difficult to find a simple test which can be used on-site. Common detection methods include functional tests, which focus on whether the microbes in the system are alive, dead or inactive. This can involve a variety of tests, such as culturing, flow cytometry and ATP tests, however these can be time-consuming, may not be suitable for on-site testing and do not provide all the information required. “Driven by feedback from operators that LUX works with, we identified the opportunity to further develop CoMic™, part of our existing range of solutions, to create TraxBio and we are excited to launch this product to the market. Continued testing and feedback will allow us to further hone the potential applications of this world-first product, and as such we are actively seeking comments and opinions from technical industry professionals on its practical use in the field,” adds Perfect. 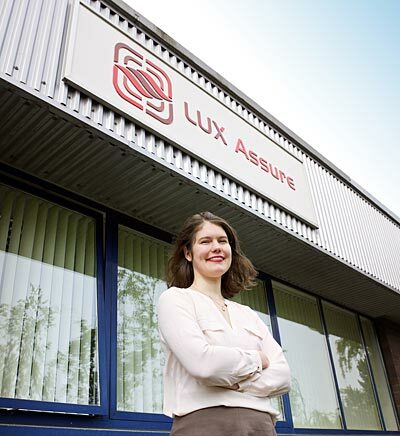 LUX Assure products, CoMic™, OMMICA™ and TraxBio™ together represent a revolution in monitoring and managing difficult-to-detect chemicals on-site in oil, condensates and water, specifically the thermodynamic hydrate inhibitors, corrosion inhibitors and biocides used to protect oilfield assets, on and offshore.